This week, the Rockefeller family, whose fortune was built on oil, announced they would sell off their holdings in fossil fuel companies. The announcement came as part of a $50 billion divestment campaign tied to this week’s United Nations Climate Summit in New York City. While the divestment movement gathers momentum, it continues to find itself at odds with other well-endowed institutions that care about climate change but disagree with the tactic. Instead these groups say they would prefer to exert influence over CO2 emitters by holding onto their status as shareholders. “Those are each actively competing positions within the investment community right now, and there certainly isn’t any unanimity,” said Ken Locklin, US Policy Advisor at London-based Impax Asset Management Group, a sustainability-focused investment group. Global Divest-Invest, the divesting campaign the Rockefellers are part of, has blasted nonprofit groups who write grants for environmental causes while allowing their investment portfolios to contain companies contributing to climate change. The group also believes the definition of fiduciary duty — a fund’s responsibility to maximize returns and lower risk for its investors — needs to be expanded. “Today it also means recognizing that climate change is forcing the global economy into a transition and investors must invest wisely to protect their assets,” Global Divest-Invest says on its website. But in a gubernatorial debate Tuesday, Shumlin clarified that while he believes climate change is the biggest challenge the planet faces, it was better for the states’ two main pension funds, each worth approximately $1.6 billion, to maintain “a seat at the table” with energy companies. “I don’t think [divesting is] the sharpest knife of all the things that we could do,” he said. In late August, Yale’s $23.9 billion endowment rejected its students’ divestment proposal, arguing it would lose its voice among energy companies. “As an ethical investor, Yale should support well-constructed shareholder resolutions that call for company disclosures that address climate change issues,” the school’s Corporation Committee on Investor Responsibility said in a statement. The corporate confrontation process is supposed to go something like this: Shareholders in a firm can file a proxy resolution to be taken up and voted on at a company’s annual meeting. The resolutions can concern virtually anything, but in most cases tend to focus on social issues. In some cases the tactic has worked: Shareholders of retail and tech giants, for instance, have successfully lobbied for improved working conditions at overseas factories. But beyond that issue, the results of confronting corporate behemoths remain inconclusive, said Eric Becker, chief investment officer of Clean Yield, a Vermont-based environmentally conscious investment advisory group. And in the case of energy companies, he said, there is probably even less room for changing a firm’s business practices. Earlier this year, Pitzer College in California divested nearly all of its $125 million endowment from fossil fuel interests. Don Gould, chair of Pitzer College's investment committee and president of Gould Asset Management, said in an email he was skeptical of the shareholder advocacy path. Those who favor shareholder activism say there have been numerous examples of successful campaigns, including ones focused on environmental issues. Tim Smith, director of environmental, social and governance and shareowner engagement at Walden Asset Management, a social policy-oriented investment group with $2.8 billion assets under management, pointed out that investors looking to limit their risk exposure pressure have helped force oil and gas companies to change policies on issues like fracking fluid disclosure and gas flaring. Those immediate results are preferable to the more abstract mission of divestment, he said. 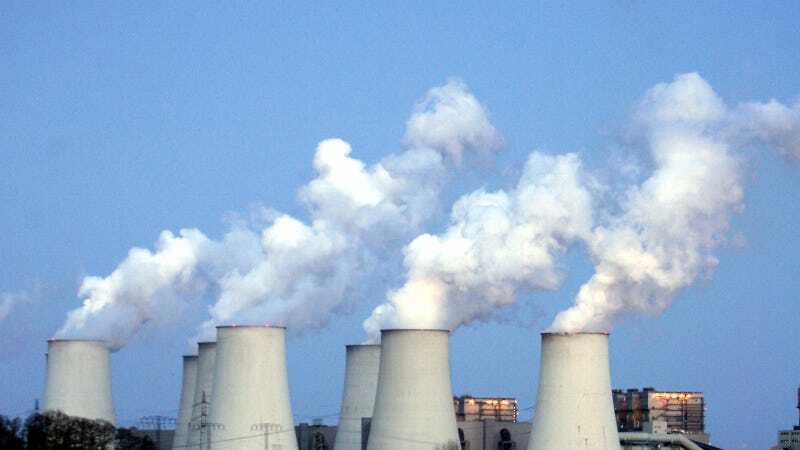 “I find it a little hard to imagine that simply by selling your shares in a company and making a moral statement, you are moving us away from a carbon addicted economy,” he said, adding the world remains decades away from meaningfully scaling down its fossil fuel consumption. Divesting defenders admit the practice does not come without costs. Gould acknowledged that some funds have less room to maneuver than Pitzer did. That’s because the cost of pulling out of mutual funds with holdings that are co-mingled with oil, gas and coal companies can be prohibitive, he said. Indeed, Pitzer couldn’t divest 100 percent of its funds because there were some leftover mutual fund holdings. Still, the impact on a portfolio’s raw returns from divesting appears negligible. Research firm S&P Capital IQ found that an endowment of $1 billion that excluded fossil fuel companies would have grown to $2.26 billion over the past 10 years, while one that held on to fossil fuel companies would have grown to $2.14 billion, the AP reported last year. Gould told Fusion that the energy sector is not typically known for outperforming the stock market, although the firms themselves comprise nearly 10 percent of publicly traded shares. “We looked at historically what diversification loss would mean in terms of the volatility of our portfolio, and found it would be negligible,” he said. Nevertheless, flagship American universities, where the divestment movement first began, continue to shy away from full-on divestment. In rejecting student proposals, Harvard and Columbia both argued it would be better to engage with energy companies than to abandon them. One exception is Stanford, which pulled holdings related to coal, which school officials said was more immediately harmful to the environment than natural gas. But they also pointed to their shareholder privileges as an avenue they will pursue to continue to pressure energy firms. Smith, of Walden, said the collective impact of investors’ expressing concerns about climate, no matter what tactic they take to express it, has changed how the financial world views heavy carbon emitters. “Their model is being challenged,” he said.